When you are ready to end a quiz, click Finish. Note: If you don't see the Finish button, you can simply click Results on the navigation bar to return to the quiz. 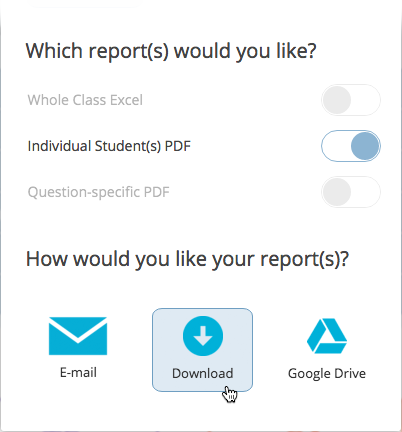 Your students will now see the Waiting for Teacher window; students can then Log Out or await another question.